HAVERHILL, MA. –Merrimack Street Ventures, LLC, a partnership between two non-profits, The Greater Haverhill Foundation (GHF) and the Planning Office for Urban Affairs (POUA), along with Representative Brian S. Dempsey, (D-Haverhill), Chair of the House Committee on Ways and Means is pleased to announce plans for an exciting and transformative new development to be built on the Merrimack River in Haverhill. 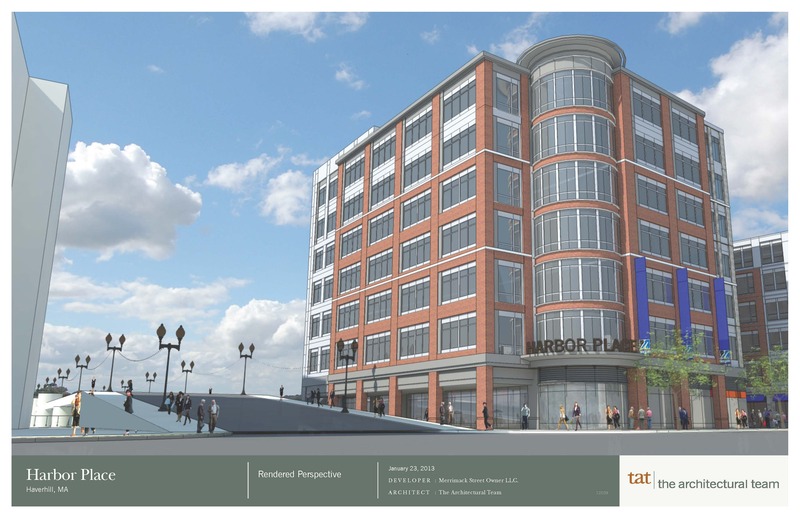 To be called Harbor Place, the mixed-use development will reinvigorate the streetscape, create active pedestrian corridors to the river from Merrimack Street, and offer a variety of uses that will significantly enhance the local business district. Among the properties to be included in the development is the Woolworth Building, which has been vacant for over 40 years, and other nearby parcels. 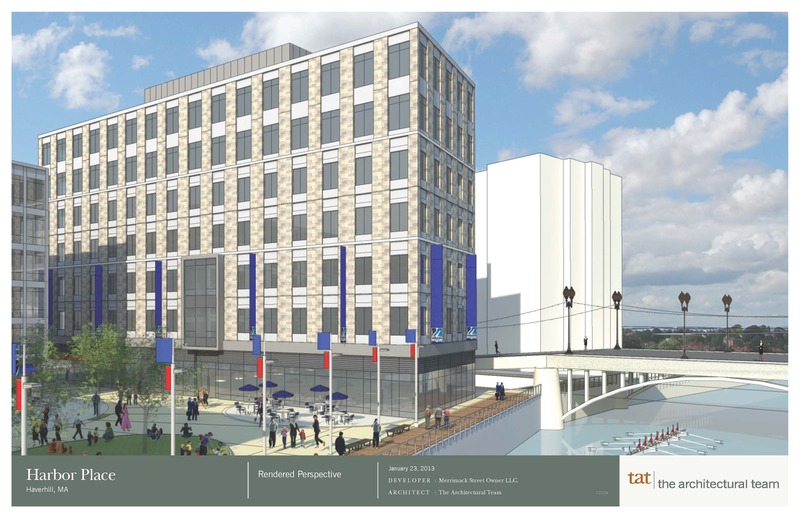 Phase one of the proposed development will feature a seven story (81,500 sf) commercial building with ground floor retail and river front restaurant space, a mix of commercial uses, and a pedestrian corridor to a new Merrimack River boardwalk and public plaza, all built on a raised development platform that will allow direct access to the river while also providing underground parking. 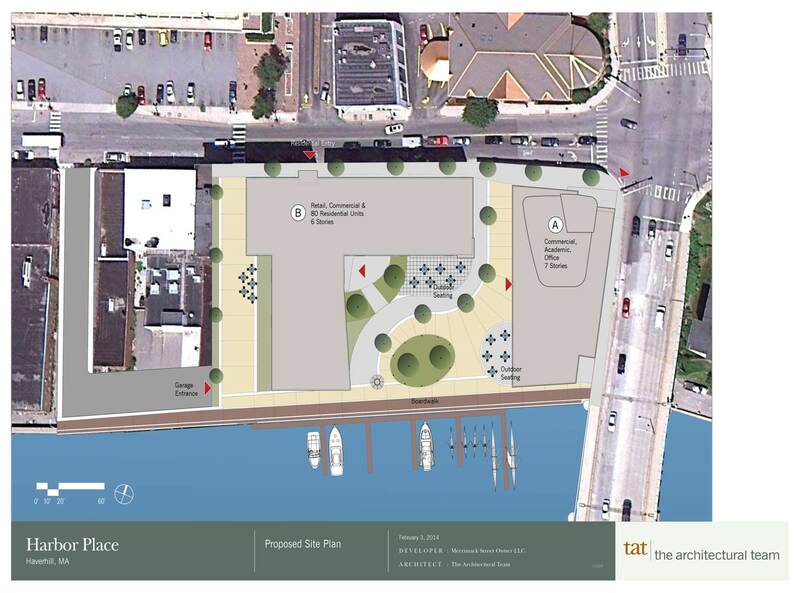 It is anticipated that an adjacent recreational boat dock facility with ocean access will further enhance this 1 1/2 acre downtown Haverhill waterfront site in the future. “I am proud to be a part of this historic announcement and grateful to have been successful in my efforts to secure funding to enhance this revitalization. The partnership to redevelop the long vacant Woolworth building will prove to be the most significant economic development project in the city of Haverhill. 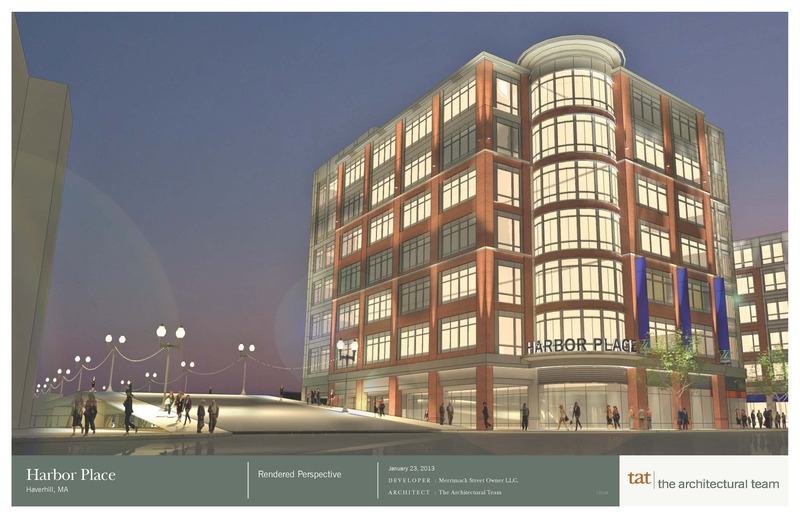 Harbor Place is a transformative plan that combines commercial, educational and cultural aspects that will change the downtown landscape while promoting one of our city’s greatest resources in providing access to the Merrimack River,” said Representative Brian S. Dempsey. “During the Industrial Revolution, our region’s gateway cities, like Haverhill, led the way in powering American innovation. Today, they are continuing that tradition by reinventing themselves to develop new educational, cultural and economic opportunities. Haverhill’s distinctive assets, particularly its extensive waterfront along the Merrimack River, will help spark this new series of economic development projects, which will benefit and impact the city going forward. I look forward to working with the GHF and POUA and the city and other partners, as they put their plan into action in the coming year,” said U.S. Congresswoman Niki Tsongas (D-Lowell). The building’s tenants will include UMass Lowell’s Haverhill satellite campus. Since December 2012, UMass Lowell has been seeking a downtown location that offers ease of access to public transportation, train service and highways for students. An effort to find existing space that met these and other criteria in time to open in September was unsuccessful, so in lieu of a downtown location, the satellite campus has been operating at Northern Essex Community College on a temporary basis. More than 2,000 UMass Lowell students, faculty, staff and alumni hail from Haverhill and surrounding communities. 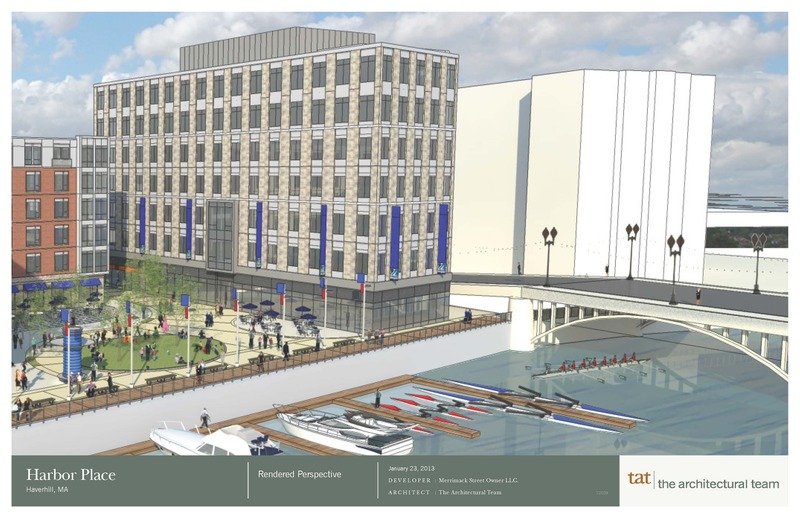 “The university looks forward to working with Merrimack Street Ventures to make UMass Lowell a part of this development,” said UMass Lowell (UML) Chancellor Marty T. Meehan. 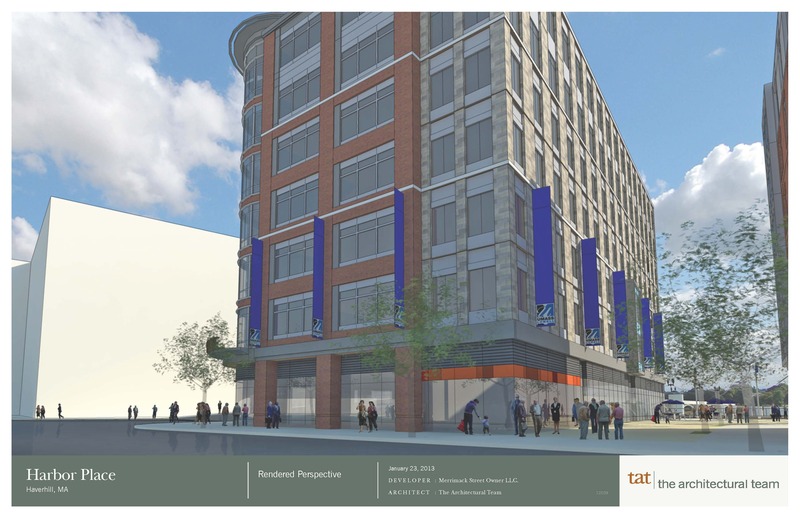 “We are committed to making access to a high-quality UMass Lowell education even more convenient for residents of Haverhill and surrounding communities and to help bring economic vitality to the downtown”. “It was another great partnership in working with Chancellor Meehan and the UMass system to establish the presence of a world renowned university in the City of Haverhill. As an alumnus of UML it gives me great pride to have been involved in this endeavor,” Dempsey said. "We celebrate this announcement with our partners at the State level, the University of Massachusetts Lowell, and Merrimack Street Ventures. 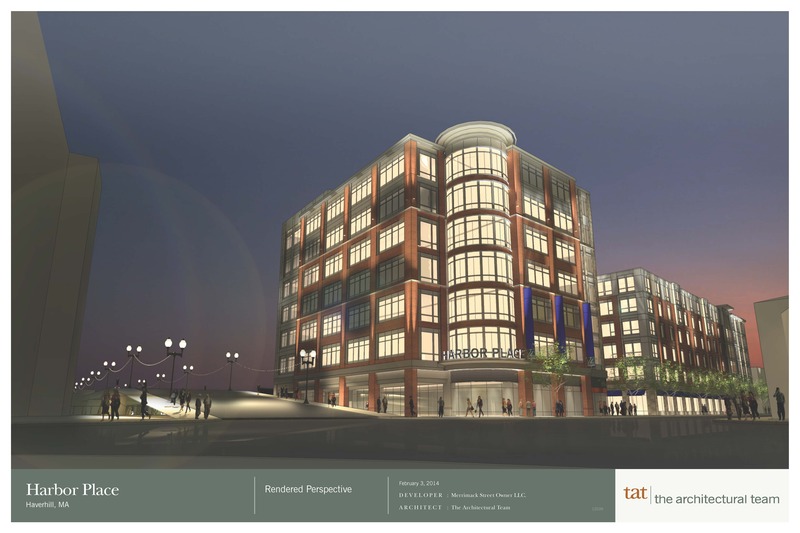 I would particularly like to thank Chairman Dempsey for his efforts to make the Harbor Place development a reality, the dedicated team from the Planning Office and the Greater Haverhill Foundation who have worked tirelessly to move this project forward, and President Caret and Chancellor Meehan for the University’s new and valued presence in Haverhill’s Downtown Waterfront District. Together, with our City Councilors and Department Heads, we have been working with this great development team to bring this development forward. That co-operation and ease of permitting will continue. 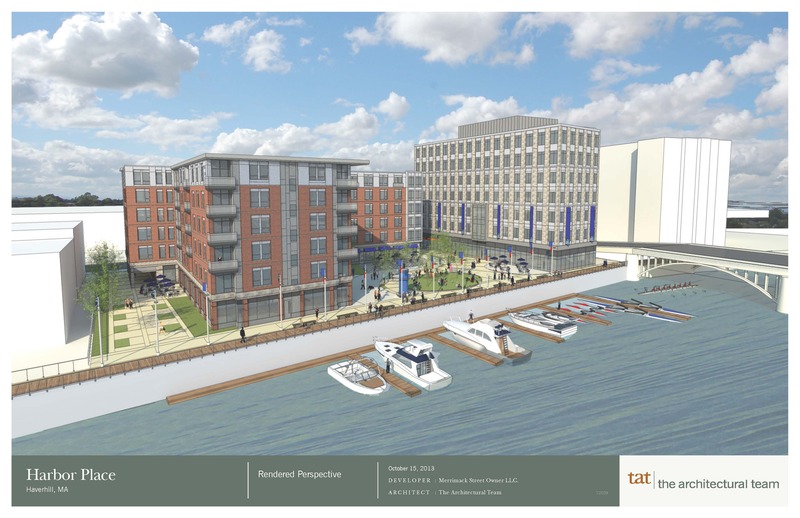 Working together with this great development team and with the State, we hope to create an exciting new downtown waterfront that will attract new business and continued growth in our city for years to come,” said Mayor James Fiorentini. Demolition of existing buildings to make way for Harbor Place is planned to begin in the late spring with construction expected to begin in the fall of 2014. The first phase of the project will bring approximately 150 construction jobs to Haverhill during development. Once completed, phase one will also provide office and work space for as many as 130 professional and semiprofessional workers.